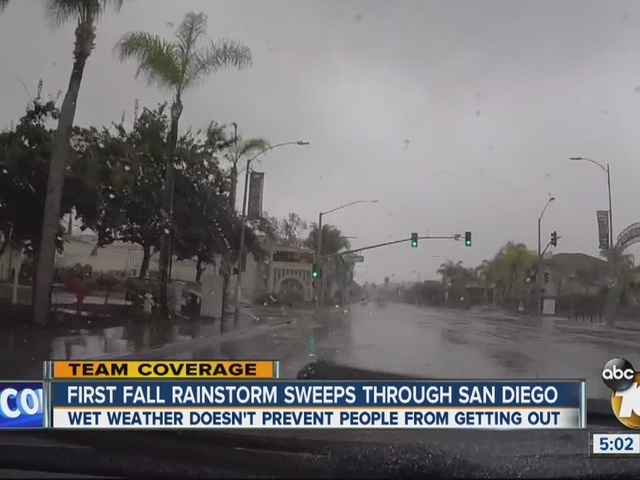 The official rainy season kicked off Sunday in San Diego County, as showers and some moderate winds hit the region. The rain began before dawn and died down in the city by midday. 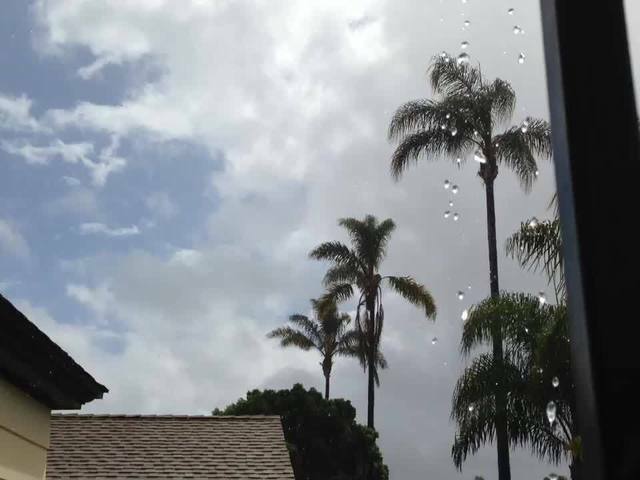 About .15 inches of rain was recorded at San Diego Lindbergh Field, the National Weather Service said. 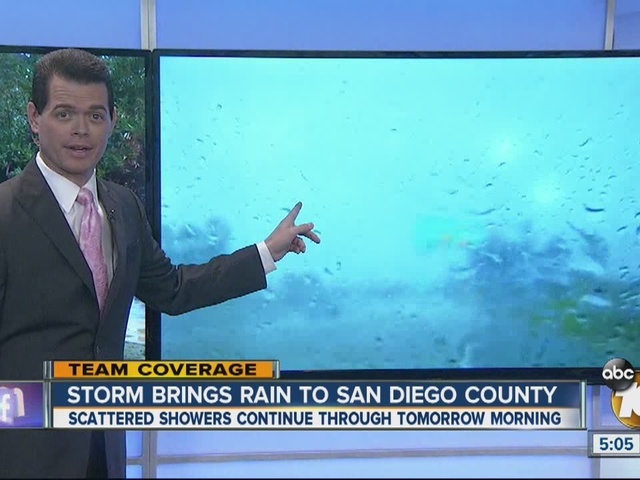 More water was collected inland: .33 inches at Kearny Mesa. Rainbow Camp, between Pala and Fallbrook, received the most morning rain, with .98 inches. Numerous highways in the metropolitan area had reports of hydroplaning vehicles, dangerous conditions and crashes. One car rolled over and rested on its roof on the Fletcher Parkway offramp fromn the 8 Freeway. Yet, the rain did not ruin everyone's day. The Miramar Airshow announced that the planes will continue to perform, regardless of the conditions. Additionally, Charger fans were greeted by the sun, just before kickoff at Qualcomm Statium. The NWS said ocean conditions were warm -- low 70s -- and the surf was low, about 2-4 feet. The southwest winds remained below 10 miles per hour in many places, but the desert slopes felt some gusts at 30-35 miles per hour, the NWS said.